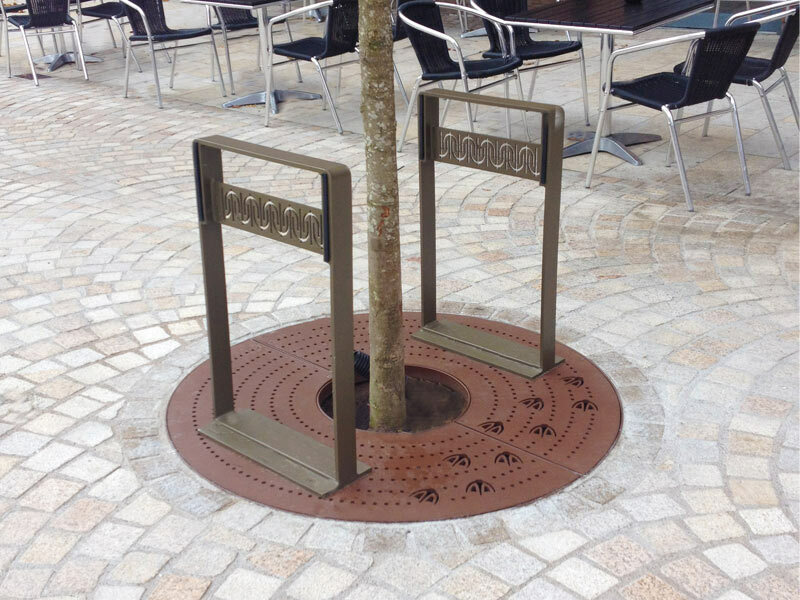 Available in stainless steel or mild steel, our bespoke cycle stands can be powder coated in any desired RAL colour as well as laser cut to feature intricate designs and logos. 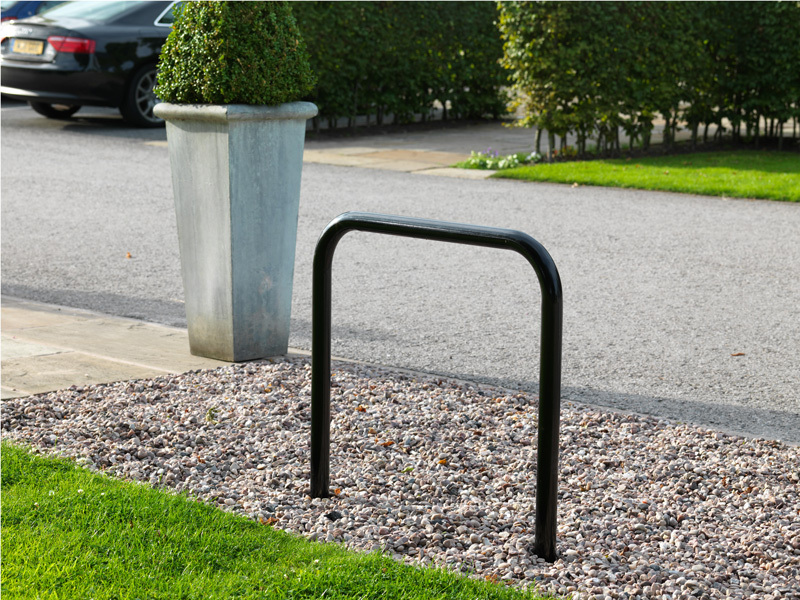 Simple, neat and unobtrusive, this safety cycle stand has been styled to blend in with any surroundings. With a satin polished stainless steel construction, strength and durability are in-built and the design may be adapted to suit ordinary cycles with wheels of any diameter. 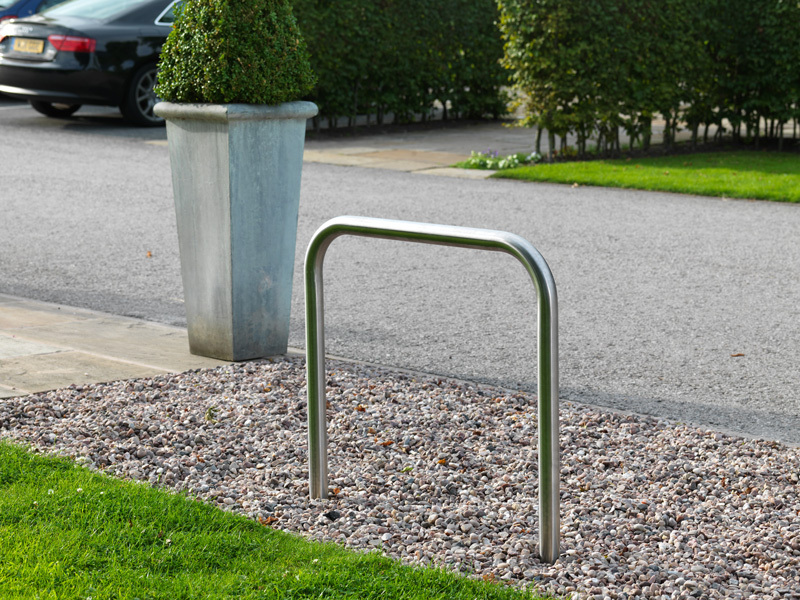 Simple, neat and unobtrusive, this safety cycle stand has been styled to blend in with any surroundings. With a hot-dip galvanised, colour-coated mild steel construction, strength and durability are in-built and the design may be adapted to suit ordinary cycles with wheels of any diameter.